Just curious, how does the sewage system work in country homes? Do they still use the outhouse or have a system based on that? Septic tank and field drain system is the norm but some states allow a treatment system that combines the septic tank and field drain system in one unit. 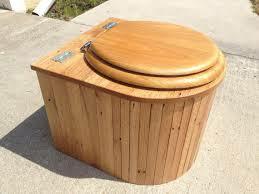 Composting toilets use the natural processes of decomposition and evaporation to recycle human waste. Waste entering the toilets is over 90% water, which is evaporated and carried back to the atmosphere through the vent system. The small amount of remaining solid material is converted to useful fertilizing soil by natural decomposition. 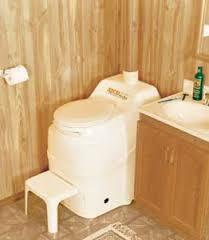 This natural process, essentially the same as in your garden composter, is enhanced in commercial composting toilets by manipulating the environment in the composting chamber. The correct balance between oxygen, moisture, heat and organic material is needed to ensure a rich environment for the aerobic bacteria that transform the waste into fertilizing soil. This ensures odor-free operation and complete decomposition of waste. When human waste is properly composted, the end product does not contain any pathogens or viruses (these are destroyed by bacterial breakdown). This nutrient-rich fertilizer can then be used on plants or around the base of trees, as part of the natural cycling of nutrients, reducing your need for commercial fertilizers and preserving local water quality. With either method you will have to empty the reservoir contents periodically, but from all accounts it is not a smelly process! Wow this is amazing information I never knew this thing exists. Thanks for sharing sister. We are new here, and see that we have A LOT in common. We live off-grid and we have made a sawdust-toilet. We made a video about it, with a funny ending Hope you enjoy it. Yeah, seems like that channel has made the majority of their videos private. Dunno why. Oh well. Previous Topic: "Do you wish to see Jesus?"